Looking for a Cordless Chemical Sprayer for the Pest Control Industry that will Get the Job Done? As a pest control professional, you never know where you’re going to find yourself. Your customers rely on you to remove all the stuff the bothers them, scares them or otherwise makes their life inconvenient. From time to time you need to spray certain products that will take care of the problem. But for you, sometimes the spraying is the problem. Whether it’s pumping a sprayer that doesn’t always give you the right pressure or consistent coverage or dumping your chemicals into to a separate container (pump or battery operated) that can be messy, these are not the most efficient ways of doing your job. 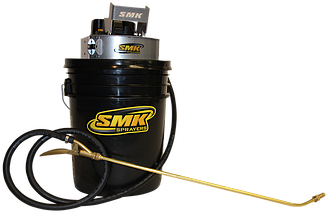 Thankfully, SMK Sprayers has developed a line of industrial pest control portable sprayers to make your job easier. 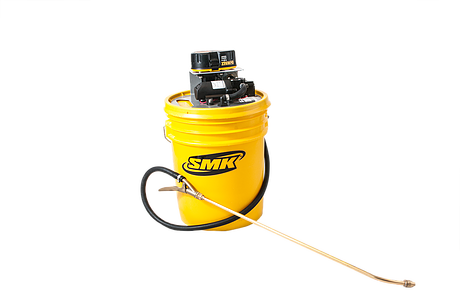 Their family of sprayers eliminate both pumping and pouring, allowing you to connect directly to the manufacturers 3.5 or 5 gallon bucket with a patented bucket locking technology. 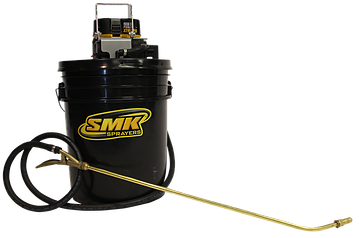 Using a standard 18 volt DeWalt battery, which you may already have and the original container with your cleaning product adding an SMK Sprayer is all you need to save time and money for every job. In addition, clean-up is a cinch. 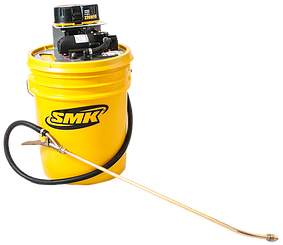 By using the recommended cleaning agent by the manufacturer, you can purge your SMK Sprayer and be ready for the next job in minutes. With a variety of models, you can spray water-based, oil-based or other chemicals that give you the flexibility to take advantage of all the benefits of our sprayers, regardless of what products you are spraying. And enjoy convenience, save time and money by calling us to find out which Cordless Chemical Sprayer model best fits your needs!